A series of politicized campaigns waged against Eritrea in recent years have impacted the country negatively and violated the collective rights of its people. 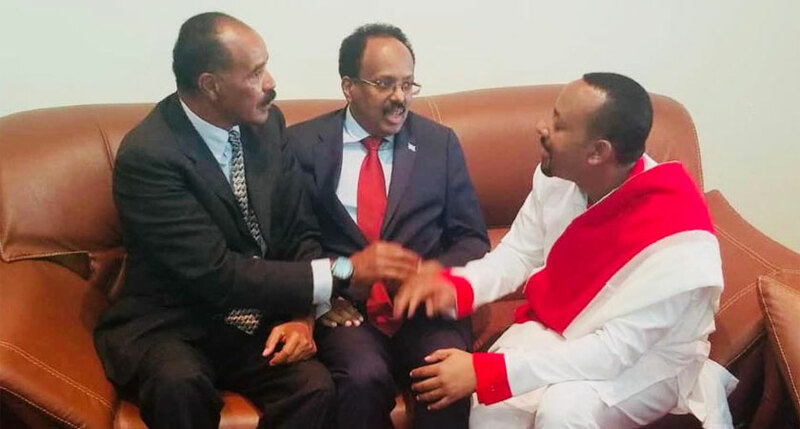 As developments toward peace and cooperation quickly unfold in the Horn of Africa, it is important to reflect upon the series of politicized campaigns waged against Eritrea. Although the campaigns differed in terms of their approach and implementation, they all negatively impacted the country and violated the fundamental rights of its people. The first of these campaigns against Eritrea was the UN Security Council’s (UNSC) failure as guarantors of the Algiers Peace Treaty 2000 (“Peace Agreement”), to force Ethiopia to implement the Eritrea Ethiopia Boundary Commission (EEBC) decision. Eritrea frequently makes reference to the injustices it has suffered, as a result of misguided Western and American policies toward the Horn of Africa. Including the unwavering support to Ethiopia, and the failure to censure Ethiopia’s flagrant violations of international law. 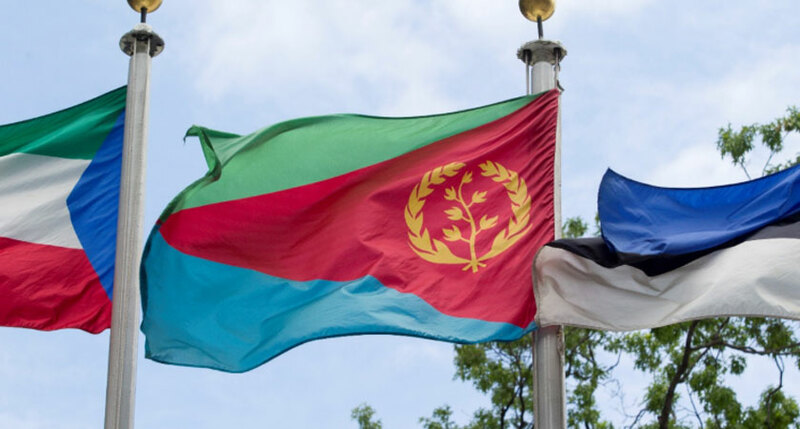 For nearly two decades, the emboldened Ethiopia refused to withdraw its troops from sovereign Eritrean territory in compliance with the November 2007 demarcation decision of the EEBC pursuant to the Peace Agreement. The ensuing “no-war, no-peace” situation and the previous Ethiopian regime’s regular military aggression against Eritrea, necessitated the prolongation of national service in Eritrea. This has been, in part, responsible for many of the youth leaving Eritrea. Compounding the matter, young migrants have been ruthlessly exploited by opportunistic human smugglers and traffickers, many with alleged ties to subversive Eritrean activists working for regime change abroad. It is also important to note here, how the de facto policy of Western countries to grant automatic asylum to anyone from Eritrea, whether a genuine refugee or not, has served as a pull factor for migration. The second campaign waged against Eritrea – the geopolitical agenda – was (and is) the unjust and unlawful international sanctions. The sanctions were first imposed in 2009, and then broadened in 2011. Rather than being guided by peace and security, the UNSC sanctions were political and lacked due process, being largely engineered by the former US administration and the TPLF-led regime in Ethiopia. The sanctions were aimed to undermine and isolate Eritrea, in order to cripple it economically and diplomatically. Potential economic development through the exploitation of the mining sector was specifically targeted. The goal was to choke foreign direct investment into the country and promote a divestment campaign through targeted activism of mining companies operating in Eritrea. ”The State of Eritrea has been a strong partner and shareholder in the Bisha Mining Share Company, a subsidiary of Nevsun. The Government of Eritrea has contributed to the building of the Bisha Mine, both financially and through the Board of the Bisha Mining Share Company, as well as through the support of the Ministry of Energy & Mines and various other ministries. The Eritreans have always taken the high moral road with respect to many of the destabilizing strategies – but it is high time – that we provide a voice to the many Eritreans who are acutely aware of the negative and damaging impact that unjust sanctions have had on the country’s development. The sanctions have greatly hindered prospects for foreign investment, made the process of acquiring loans or engaging in commercial agreements considerably challenging, if not unlikely, and significantly harmed the country’s development and growth. Moreover, despite incorrectly being labelled as “merely” an asset freeze and travel embargo, the UN sanctions also include an “arms embargo” – restricting Eritrea from defending itself, which is a fundamental right enshrined within the UN Charter. As well as a large number of countries and international organizations that have expressed concern on the sanctions. The politicised nature of the sanctions is also revealed by the complete lack of will on the part of the UNSC to implement the “sanction” provisions and the SEMG’s failure to produce due diligence guidelines and/or a targeted list of entities pertaining to the sanctions. It is also hard to overlook the basic impossibility of Eritrea smuggling weapons into Somalia because of the heightened international military operations and security presence in the Red Sea and Horn of Africa region. It appears that the UNSC is divided as between those member states who request reconsideration of the sanctions as against Eritrea, and the USA and the UK, who would like the finding of “no evidence” to be corroborated with visits by the SEMG to Eritrea. Of course, this may just lead to further requests and the proverbial shifting of goalposts. Earlier this month in November 2018, Britain circulated a draft resolution calling for the lifting of the arms embargo, travel bans, assets freezes, and targeted sanctions. The third of these campaigns is the media’s unethical approach toward and distorted narrative on Eritrea. The campaign of defamation, disinformation, and misinformation, – failing to consider context, politicizing human rights, and completely falsifying on the ground realities. Thus seeking to destabilize the country, harm prospects for regional or global engagement, and promote regime change. This destructive approach and narrative fails to take into account the significant work conducted in Eritrea towards improving the standard of living of its people and protecting and promoting the entire gamut of human rights. A country that had fought so long and lost so much to first win and then maintain its independence and sovereignty- was once again under an unjust attack.